The recent presence of a PLA-N auxiliary general intelligence vessel off Queensland has generated some interesting discussions. Euan Graham and James Goldrick are right that the incident undercuts Beijing’s own objections about US close-in surveillance of mainland China. 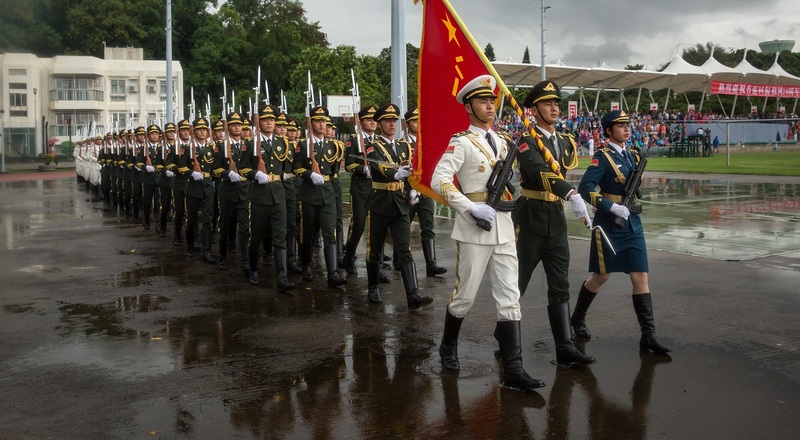 There is no small amount of hypocrisy in China objecting to US intelligence collection operations directed against its own military, but then conducting similar operations against other nations. The official Australian response was pitch-perfect, noting that the Chinese activity was lawful and that 'Australia respects the rights of all states to exercise freedom of navigation in international waters in accordance with international law'. This 'flat and factual' statement reminded China that its collection activities are - just like America’s - legal. But unofficial comments from un-named Australian Defence officials, that described the vessel’s presence as 'provocative' and 'unfriendly', are more revealing. These descriptors might be accurate, but our thinking should not stop there. We know Beijing objects to the American practice of regularly conducting both naval and aerial surveillance of China, and pushes back against what it perceives as unfriendly and provocative acts through unsafe intercepts. If we are unnerved by just one such PLA-N visit, should we not consider how China feels? There are some standard responses to this point. The first is to point out that the US collection activity is legal and within the parameters of the rules-based global order. This is correct, but misses the point: not everything legal is wise. If American surveillance operations make China feel threatened - and if this in turn generates insecurity, prompting China to push back with risky games of aerial chicken - then this could result in a repeat of the 2001 EP-3 incident. Given the escalation risks involved, this isn’t a scenario to be imagined with relish. The second riposte is to downplay the extent to which China should feel threatened by such intelligence operations. This is a specific form of the thesis that China has nothing to fear from the US alliance system in Asia, and that Chinese concerns about it are exaggerated. It is worrying that this idea has become something of a self-evident and accepted truth in Australia. Instead, consider the view from Beijing: the US threatened to use nuclear weapons against China during the First Taiwan Straits Crisis, and in the 1930s and 40s China suffered greatly at the hands of America’s main regional ally, Japan. More recently in Australia, a former secretary of Foreign Affairs has endorsed the idea of a quadrilateral grouping, because these powers are uncomfortable with the prospect of a liberal democratic hegemon being displaced by an authoritarian power. If I were a strategic planner in Beijing, such history and statements would genuinely worry me. Though, as Euan notes, Exercise Talisman Sabre was not 'provocative', I’d still collect intelligence on this grouping where possible. The unofficial Australian reaction highlights something often missing from Australia’s security debate: any degree of empathy for Beijing. Considering the world from Beijing’s perspective doesn’t mean that one must approve of China’s authoritarian political system, abysmal human rights record, illiberal restrictions on press freedoms, harsh repression of religious groups, etc. It is possible to both condemn China’s political system, but also accept it as an incipient great power with legitimate security concerns. Empathising does not mean rolling over at the first sign of aggression, but appreciating China’s fears could help to secure bargains, lower tensions and avoid war. The US did this, at times, with the USSR. We should encourage the same approach towards China today. One school of Australian strategic thought might argue that empathising with Beijing would mean never upsetting it, and thus empathy would give China a veto over Australian foreign policy. This perspective, which usually rejects the prospect of any change to the current order, seems to regard antagonising China as the necessary and sufficient condition of good Australian strategy. But if the status quo truly is non-negotiable, then this reasoning allows for only two outcomes: China backs down, or the US and its allies enforce the current rules-based global order (at considerable risk of nuclear war). Australia should gently prod China on its double standard, but our description of the PLA-N activity as 'provocative' and 'unfriendly' should also prompt some introspection. Empathising with China might open up a new path: maybe the US and others could quietly adjust their practices - perhaps reducing the frequency of close-in surveillance­ activity, but not stopping it completely - so as to give Beijing a greater sense of security. Such decisions should, of course, be conditioned on some form of reciprocity, and be reversible in case commitments are not kept. Critics might denounce this as acquiescing to coercion, but such bargains - informed by an empathetic acknowledgement that China has legitimate security concerns - probably offer the best chance of avoiding worsening insecurity and the attendant risks of war.